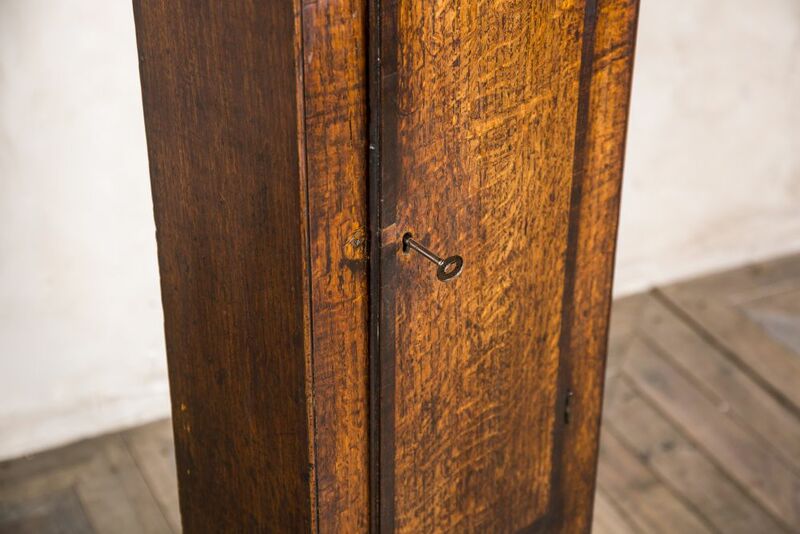 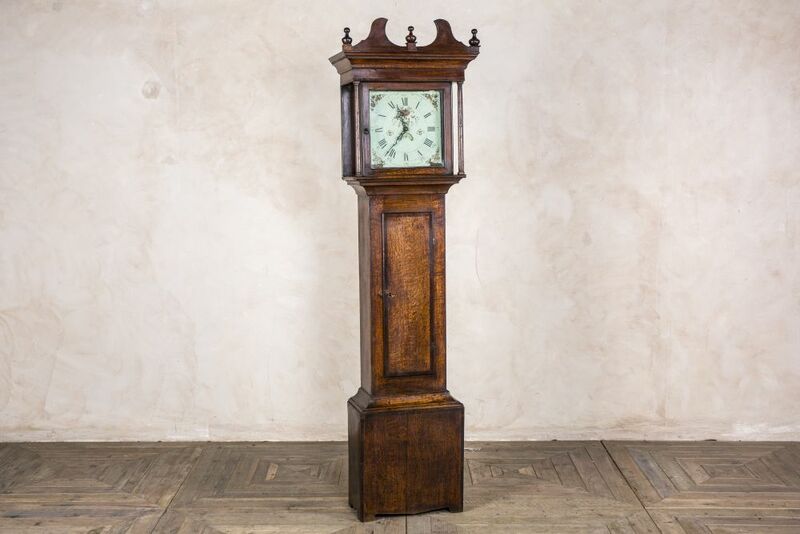 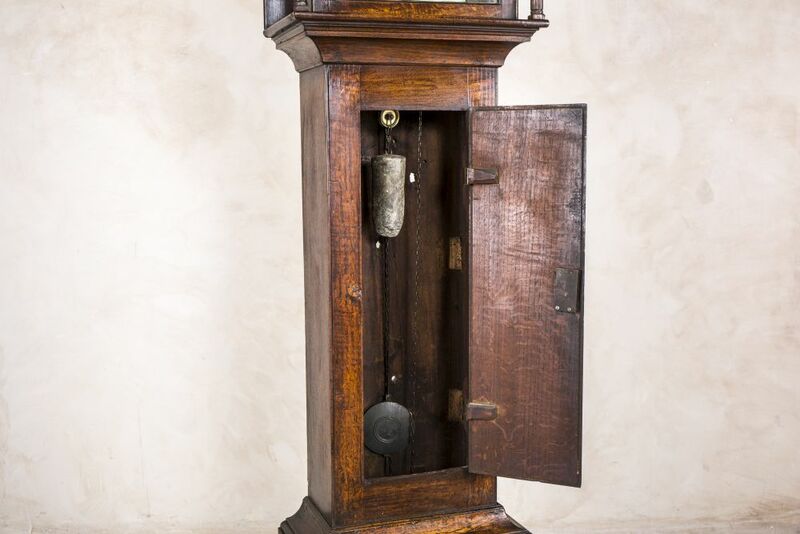 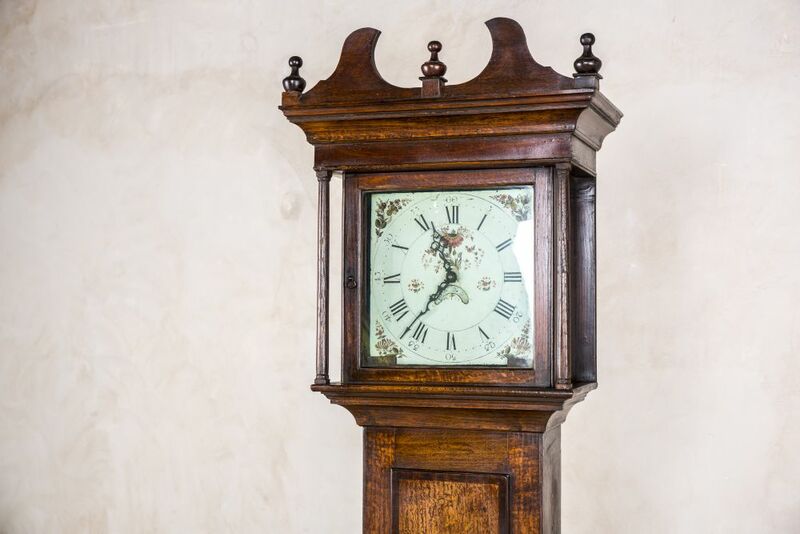 A fantastic addition to a period property or vintage inspired space, this antique Grandfather clock would surely be a standout feature. 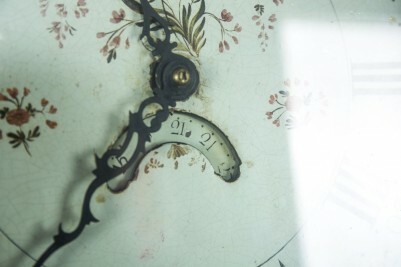 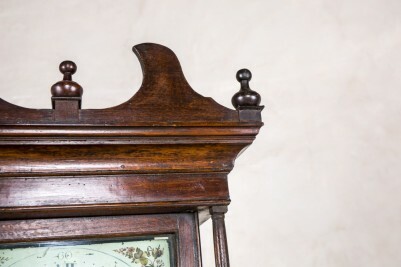 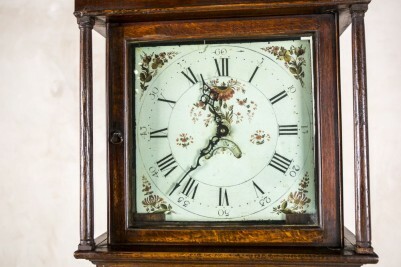 The clock has an original painted face, with ornate clock hands. This clock has a 30-hour movement, so does need to be reset daily by pulling on the chain. 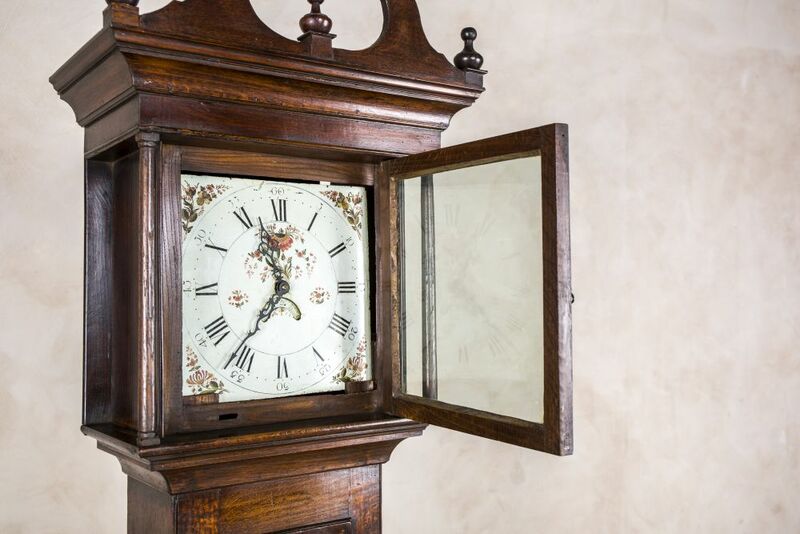 We recommend that the clock is properly installed after purchasing as these types of clocks are very susceptible to changes in temperature and movement. The clock is made from oak. 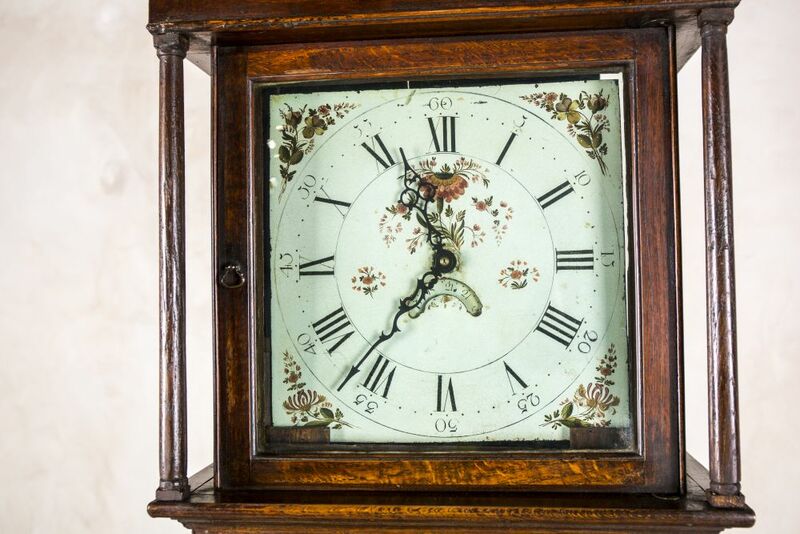 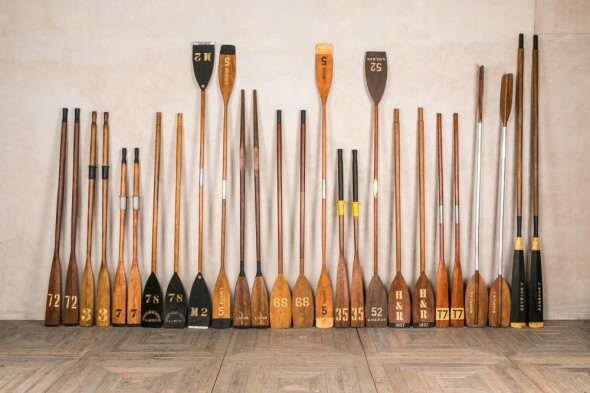 As it is over 100 years old it may show some signs of wear and tear, but we feel this only adds to its character.